It is said that internet has made the world smaller than ever. The internet revolution has passed the barriers of everyday life to redefining the way states interact with each other. While this has been welcoming for the global community, it has also given rise to questions which seem to be bigger than ever. Cyberwarfare and state-sponsored cybercrimes are on the rise and the practice of espionage has entered into economic borders with nations indulged into the illegitimate exploitation of one another’s cyberspace. Hence, a pressing concern for an international treaty to regulate cyberlaw across the globe seems important. Considering its nature and growing popularity in armed conflicts, cyber-attacks are also proving to be a looming challenge to the humanitarian law. In amidst of these global issues, new developments in the field of technology demand legal regulation. This brings us to take notice of the problems that transnational nature of blockchain has created with respect to conflict resolution. Technological developments have also presented new cybersecurity issues in encryption of data. In addition to this, electronic devices have become a convenient tool to breach the privacy of individual and the protest is largely valid. These concerns have tightly gripped and encompassed the global community and addresal of these issues is the pressing need of the present time. 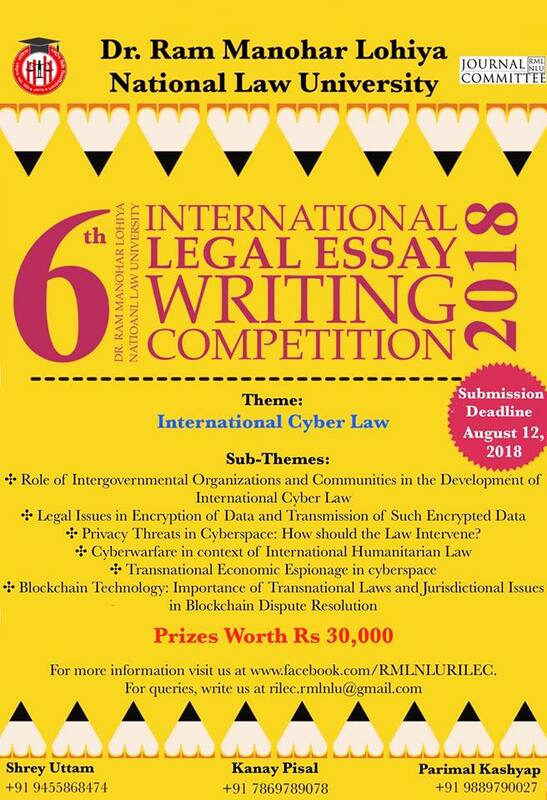 In order to encourage the young minds, come up with ideas and academic work on the present subject, International Cyber Law forms the theme of the 6th RMLNLU International Legal Essay Writing Competition. 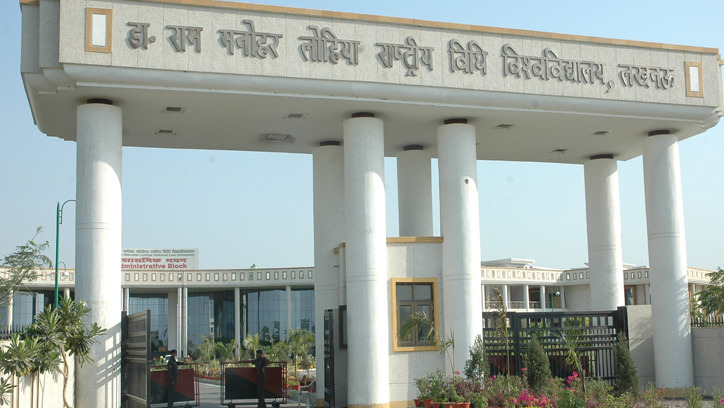 Note – Students of Dr. Ram Manohar Lohiya National Law University, Lucknow are barred from participating in the competition. Submissions should be emailed to [email protected] under the subject title “Submission for 6th RILEC – [Name(s) of Author(s)]” in Microsoft Word (.doc or .docx) format. Note – All participants shall be receiving a ‘certificate of participation’.